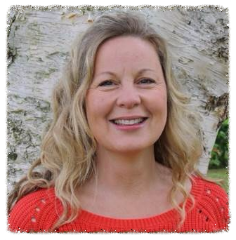 I have many years’ experience working with young people, children and teenagers, using modern brief strategic therapy, hypnotherapy and the traditional talking therapies. Gaining an NNEB in 1999 which was awarded by CACHE (Council for Awarding Care, Health and Education) CACHE is the leading specialist awarding organisation for the care and education sector. With some seven years’ daily experience working with young people I am focused on understanding, preventing and working with psychological issues which interfere with the progress and development of children and young adults. My continuing professional development includes assessment, observational and attachment theories, Integrative therapy, Integrative art therapy, Humanistic approaches, Systemic psychotherapy, CBT, NLP, Behavioural Sciences, Psychoanalysis, Person Centred Therapy, Formal & Informal Clinical Hypnotherapy. Whilst formal hypnotherapy is not recommended for the under sixteens the brief strategic approaches and visualisations used within this approach can be extremely beneficial. As a fully qualified hypnotherapist, I am able to work with young people using all of the brief strategic interventions that a hypnotherapist might use, including deep states of relaxation, where appropriate, and formal hypnosis for those of eighteen years and above. It is the application of these skills which aids your child's development through a possible difficult time. I work independently and where necessary alongside other professionals in planning how best to help your child and the family, for example in schools, nurseries, hospitals, children's services and child protection agencies; often working as part of multidisciplinary teams comprising speech and language therapists, social workers, pediatric nurses, and SENCOs ensuring the therapy process is implemented most effectively. I see everyone for a free initial consultation before working with your child; there are many brief strategic interventions which might be used today, the initial consultation allows me to assess your child to ascertain which approach might be the most effective for your child or family. This meeting also allows you and your child to see if you would be comfortable working with me.